Size: Bracts 1 - 2 inches. Notes: The red "petals" are actually the bracts and the true flowers are contained within the bracts are actually green as seen here. 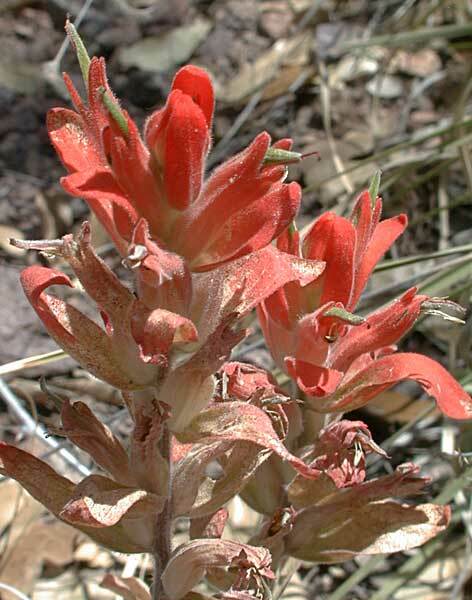 More than 12 species of Castilleja in Arizona.